Senegalese soldiers during U.S.-led Flintlock military training, Thies, Senegal, Feb. 18, 2016 (AP photo by Vincent Tremeau). 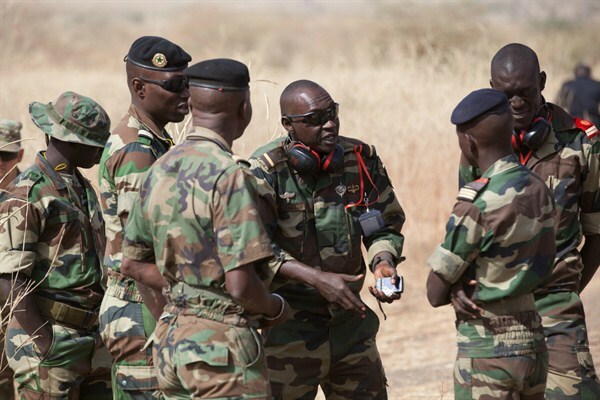 On Monday, the United States and Senegal signed a deal to facilitate U.S. troop access to the West African country, in the latest example of the American military’s expanding presence in Africa. The deal authorizes the creation of infrastructure that enables quick deployment for U.S. forces; once the construction of new facilities is completed, American troops won’t have to start from scratch in the event of a crisis or attack. The agreement comes in the context of West Africa’s increasingly precarious security, with rising threats from militant groups such as al-Qaida in the Islamic Maghreb (AQIM), Boko Haram and the self-proclaimed Islamic State.